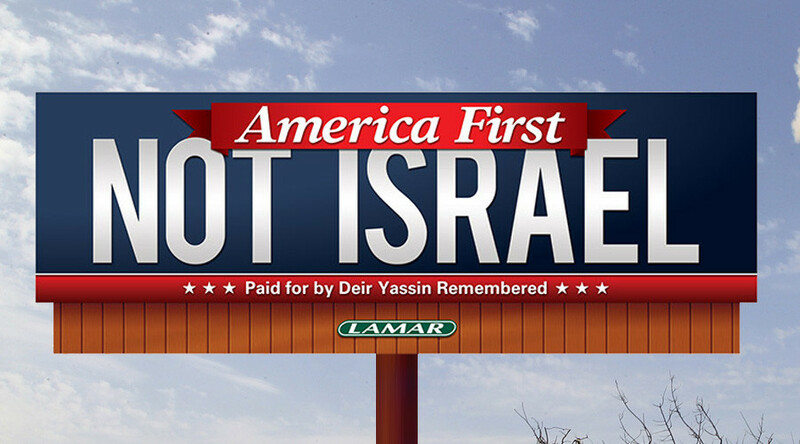 THE LEVANT NEWS — A billboard in Detroit stating ‘America First Not Israel’ is causing controversy and accusations of anti-Semitism. The advertisement was paid for by the Deir Yassin Remembered group, which aims to make American’s more aware of the plight of Palestinians. The billboard can be seen 8 Mile Road in the city, and was placed there by Deir Yassin Remembered, which is based in New York. Detroit has one of the largest Arab populations in the United States, however it also has a sizable number of Jewish inhabitants. “The strategy behind this billboard’s statement, ‘America First, Not Israel’, is to drive a wedge between those who feel American interests are not served by fighting wars for Israel, and the Israel-firsters in this country who manipulate our leaders into the false premise that Israel is the ally of the United States,” Henry Herskovitz wrote on the organization’s website. Herskovitz added that too often the Jewish Lobby within Congress was dictating US foreign policy. However, not everyone is happy about the appearance of the billboard. The Anti-Defamation League’s Heidi Budaj understood that the advertisement was trying to “drive a wedge between the American people and the State of Israel,” a fact she was less than pleased about. The battle of Deir Yassin, a village near Jerusalem, took place in April 1948, a month before the Israel was declared an independent nation. Over 100 Arab civilians were killed during the battle. “Deir Yassin Remembered was founded to educate the public about the 1948 massacre of more than 100 Palestinian civilians by Jewish terrorists at the village of Deir Yassin and to seek justice to the victims of the massacre. Our goal is to build a truth and reconciliation center at Deir Yassin,” the organization added on its website. 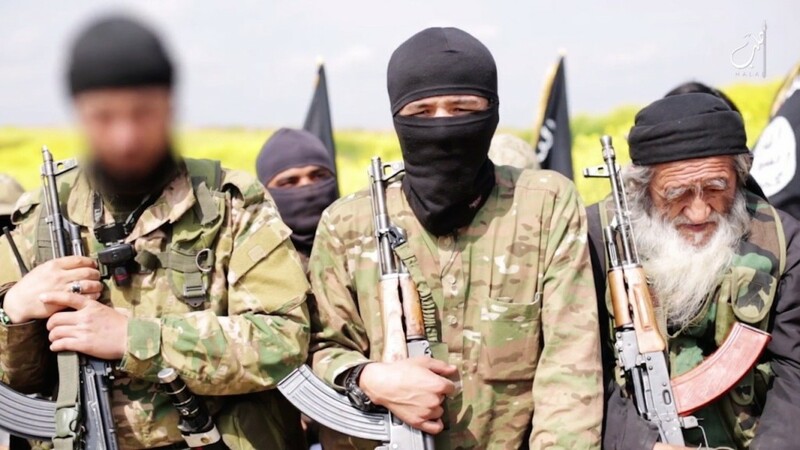 In June, the controversial blogger and president of the anti-Islam American Freedom Defense Initiative (AFDI), Pamela Geller, ran an advertising campaign in Washington, DC featuring the cartoon that won a Prophet Mohammed drawing contest in Texas in May. Critics called the move a “provocation” as it is forbidden under Islam to show images of the Prophet. Two gunmen who were intent on causing a massacre at the Texas event targeted the event itself. Both the gunmen were shot dead by police. “If America surrenders on this point, freedom of speech is a relic of history, and if we give up on this, then they will have more demands: what we eat (pork), what we drink (alcohol). …we cannot submit to the assassin’s veto,” Geller said. “Do people really think that this is where it ends? ‘Just don’t let the cartooning and we will be saved.’ Are you kidding?” she added.